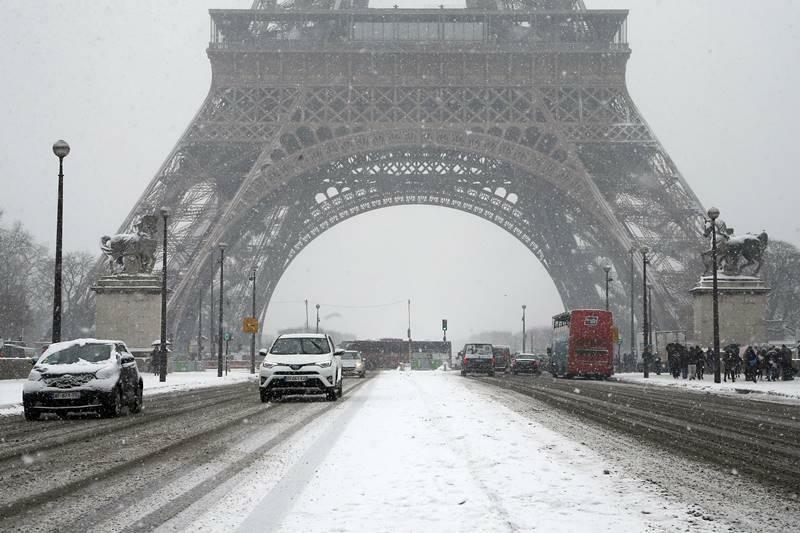 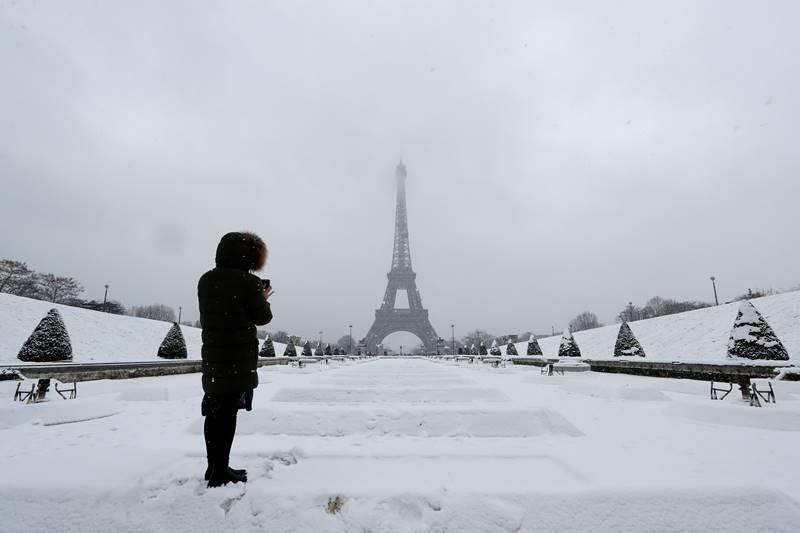 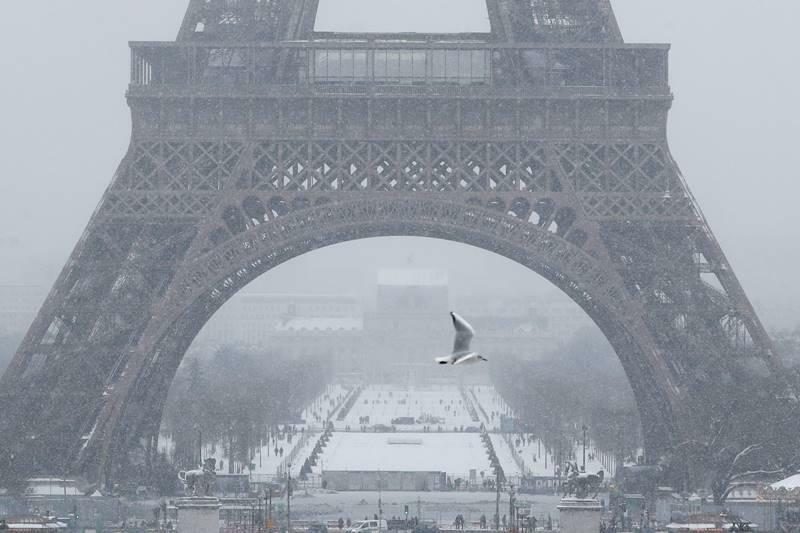 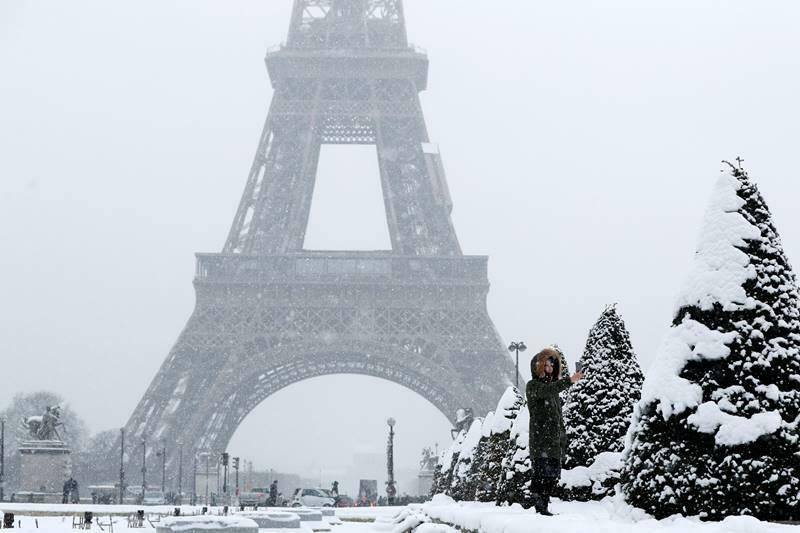 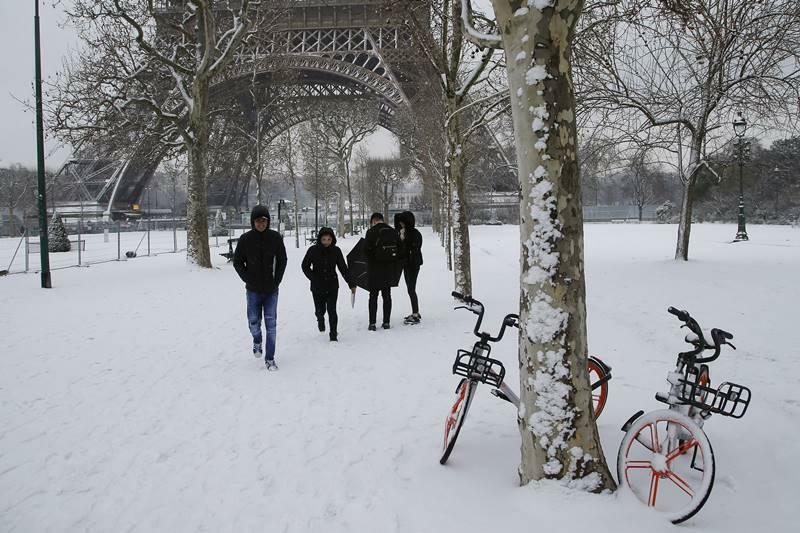 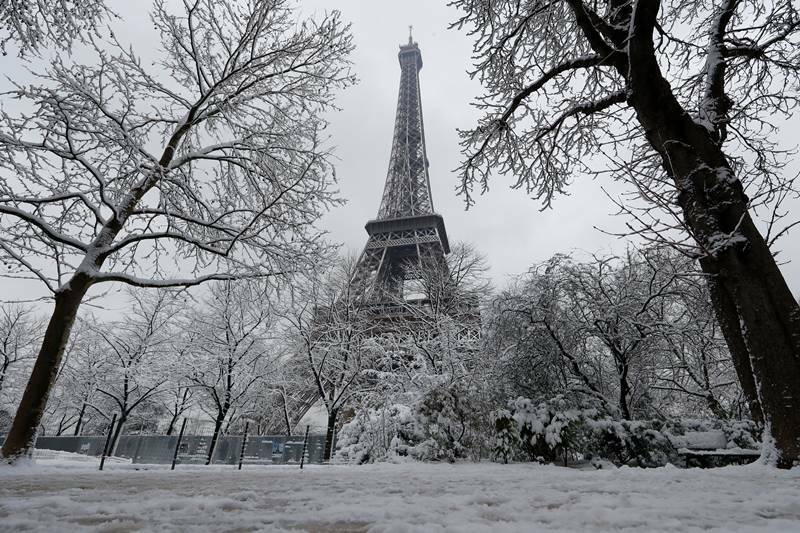 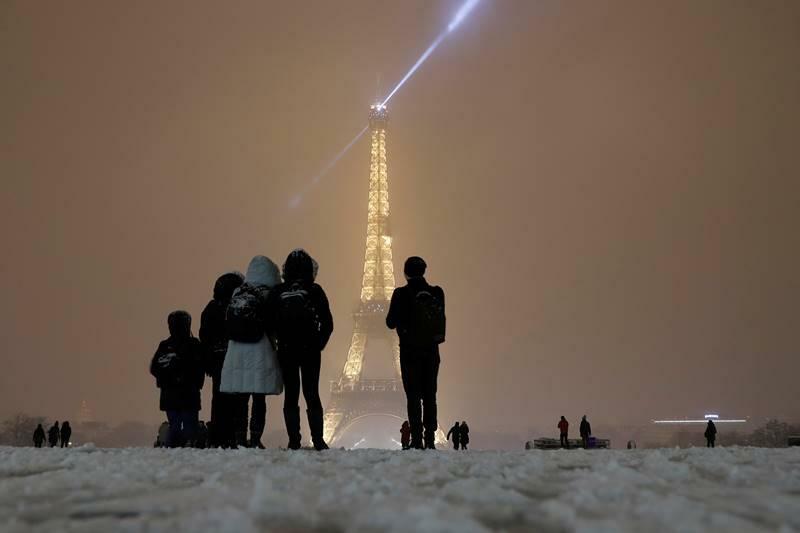 Snow and freezing rain pummeled parts of France on Friday, shutting down the Eiffel Tower but covering Paris in a gorgeous coat of white. 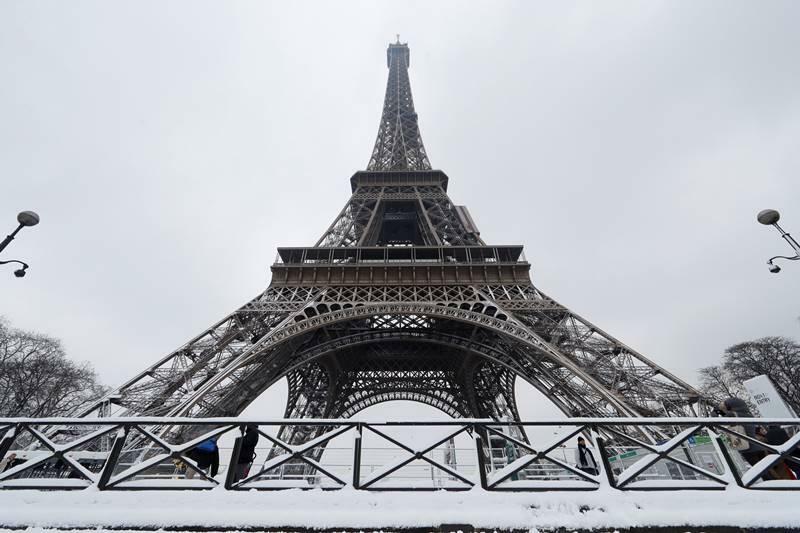 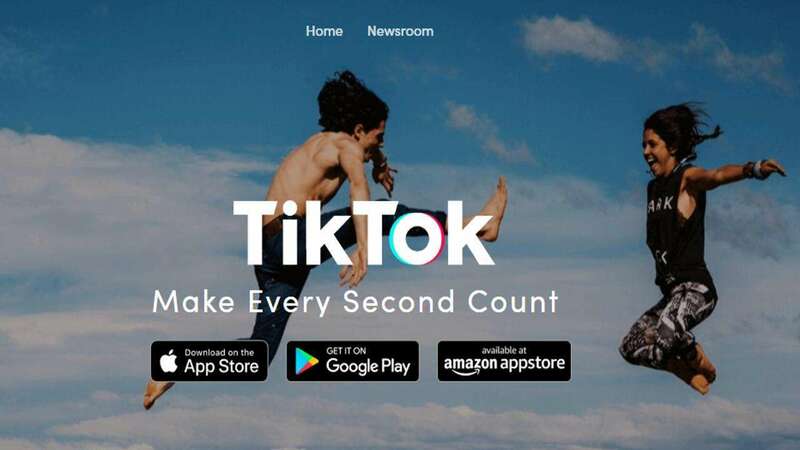 The company said they can't use salt because it could corrode the Eiffel Tower's metal and damage its heavily used elevators. 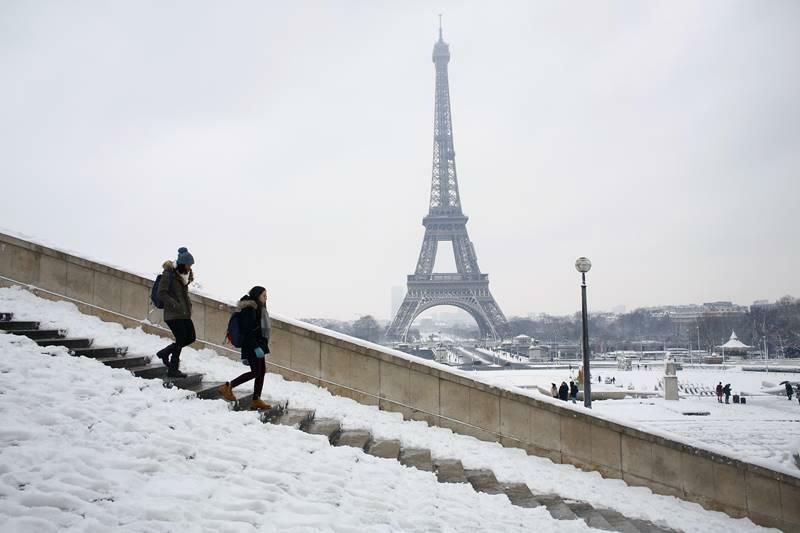 Snowboarders glided down the hills of the city's Montmartre neighborhood as tourists gaped. 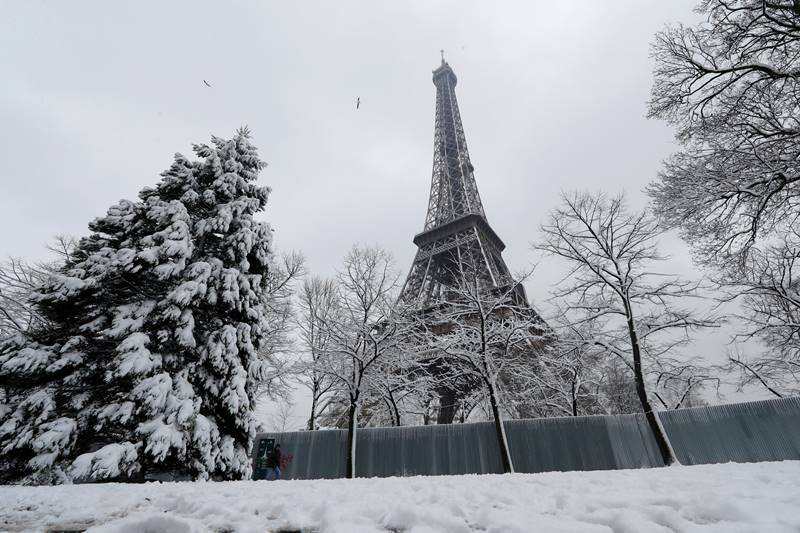 More snow was forecast and authorities warned of dangerous conditions in about one-fourth of the country.